The wall planters and totem candle holders on the display shelves are UO home finds! The number one question that I get from people is asking for recommendations on where to shop for home items. While my answer will be different depending on what you're looking for, when it comes to modern and affordable accent pieces from an online retailer that also has store locations, Urban Outfitters is a top pick. In their Apartment section, UO consistently curates an excellent selection of modern lighting, furniture, home accents, art, and textiles. I sometimes get a raised eyebrow when I make this recommendation. "Um, when did you graduate from college?" "Isn't that dorm stuff?" No! I think UO has affordable accents for all ages that can really go in any setting. 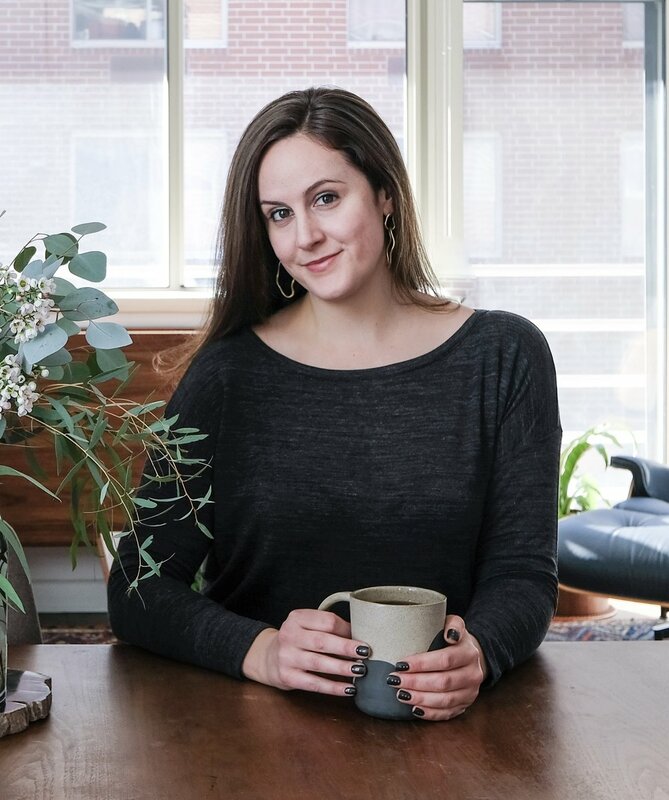 You may have to dig through some neon lights and wall hangings to find more grown up pieces, but there are almost always some great finds (and Get Sauced with my picks below)! I LOVE ultra modern decor. 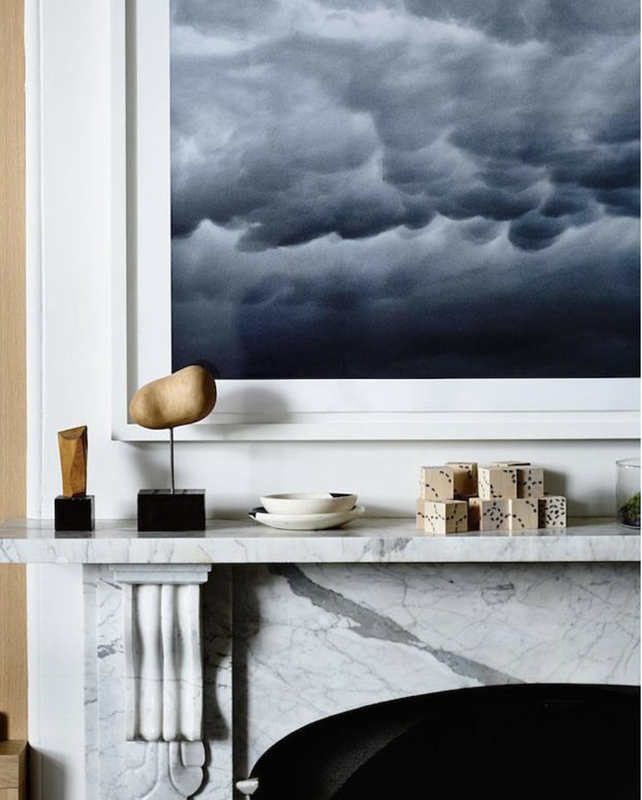 My mood boards, Pinterest boards, and Instagram collections are filled with photos of modern decor. Here are some examples. When I am purchasing home decor items that are more experimental and potentially not "forever" pieces, I try to keep costs down. Unfortunately, a lot of modern pieces can be prohibitively expensive. Enter Urban Outfitters! Here are a few examples of how I've used modern accents from UO. This Ikebana vase is a a favorite and only $18?!? It's moved around my apartment, but now has a more permanent home on my bedroom display shelves. This woodblock stool in my study at #BKaptstory from UO is no longer available, but I've suggested an alternative below. Be sure to snap up UO finds if you like something, because their products turn over quickly. A wider shot of my display shelves and kitchen entrance. I loved the woodblock stool so much that I bought two. Good thing because they sold out! 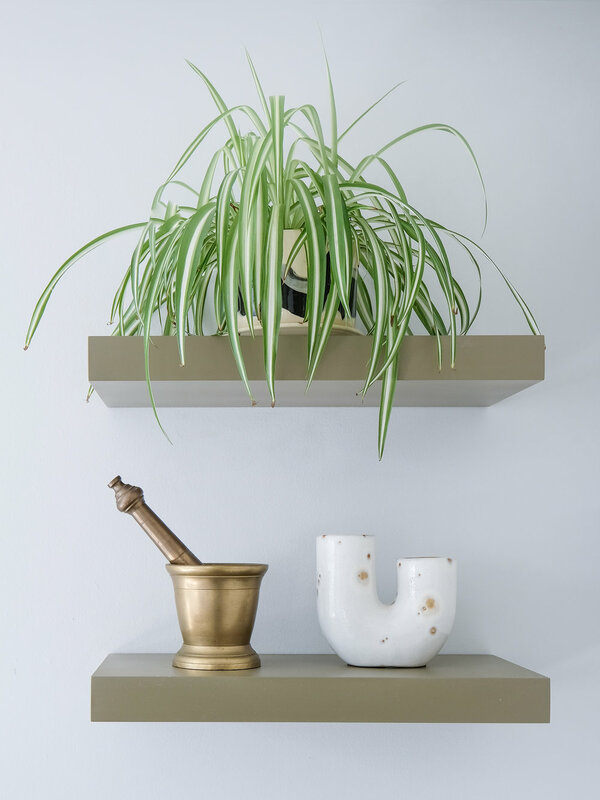 My white wall planters that I use as air plant holders are also a UO find. The white ones are no longer available, but you can find similar planters here. Want the look? Here are my picks for affordable modern accents from your home. I've never bought bigger furniture from UO, so I'm not in a position to recommend any of those pieces. But, I can highly recommend their accent decor options. One note, the selection turns over quickly, so if you see something you really like, I would jump on it.